This study examined whether there is a suitable role §for unmanned airlifters in the USAF. A three-pronged §approach was undertaken to make this determination: §1) an examination of the operational requirements §that justify unmanned airlifters, 2) an §investigation into current and emerging UAV §technologies that are likely to meet the operational§requirements, and 3) an analysis of the cost§effectiveness of unmanned airlift. 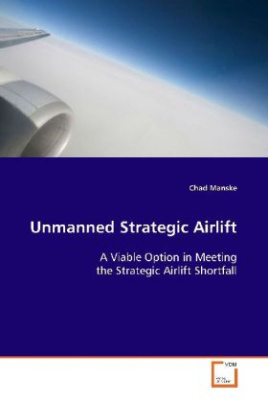 The study begins §by establishing the fact that a strategic airlift §shortfall exists. The author postulates the concept §of unmanned airlift as a potential solution for §meeting the gap between requirements and existing§capability. The author concludes that operational§requirements for airlift could be satisfied within §10 to 20 years, and that technologies essential to §unmanned airlift are indeed both a technologically §feasible and cost effective alternative for §complementing and augmenting the USAF s fleet of §venerable airlifters.